Tips and Tricks on gettins more traffic to your site. On average, businesses are daily updating their e-commerce websites. These updates may include adding valuable content to a site, uploading new products, or simply updating product information. Depending on how you maintain your e-commerce site, you may either be keeping up with the competition or even getting ahead of them. 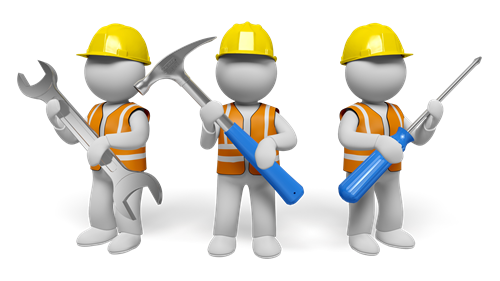 Apart from helping to update a website, proper maintenance also helps to communicate items on sale, discounts, special product offers, the updates, etc. This is when social media updates, e-blast or e-newsletter come into play. Unlike a brick-and-mortar business that tends to bring a satisfactory number of clients at the end of the month, a well-maintained e-commerce website tends to multiply your clientele and even grow your numbers. If you have already started seeing some revenue from your site, here is what you need to do to remain on track. Like running a physical retail, you need to put significant effort into maintaining your site. And one major way of doing so is by ensuring a reliable security for your website. At this point, you will discover that it costs more to run an e-commerce site than to open it. Basically, you are seeking to keep proper track of your goods and at the same time, minimizing theft. As a matter of fact, it’s imperative to keep your website protected from hackers or cyber-criminals. To this end, there is need to pay for quality safeguarding. You can identify and guarantee more sales opportunity for your site by spreading information across the web. As a guarantee for success, PPC is simply the best marketing approach for any e-commerce website. Unlike your own SEO efforts, you stand to make more sales through PPC outsourcing especially if you are a small business trying to make a name. You will end up saving lots of cash when you revise your products when priorities change, track changes in customer habits using analytics, and settle for some initial AdWords. As one of the most important parts of maintaining an e-commerce site, this all narrows down to money transaction. A safe method of transaction needs to be provided for customers to make payments for the product of their choice. PayPal is the most widely used method, however, if you are going global this may not be a suitable approach as it is not available in all countries. So try to incorporate other alternative payment methods. The same thing applies to shipping. It is best you choose an experienced shipping company for a better quality of work. Also, try to know more about their service and price range before making a choice. While adhering to full functionality, people are constantly developing new and efficient ways of enhancing the look of a website. Thanks to the constant improvement of technology. To this end, it is important to ensure that your site is up to date as you strive to keep track of web-design trends. Will Your Site Sell Anything Without Marketing?